"I have known Teacher Masako since my son was only four years old, at his first exposure to keyboard lesson in Fremont almost 10 years ago. She is not only is an amazing piano & vocal instructor, but a talented musician who has a large repertoire and a genuine passion for inspiring youth in the love of music. Her patience in working with young children and adults to nurture their appreciation to music simply brings joy of our lives. I was in tears with gratitude when I proudly heard my son playing one of my favorite tunes, "The Phantom of the Opera" at his annual piano recital on stage in front of his fellow music students and audiences. Thank you, Masako!" "Our children (now aged 10 and 13) have been students of Masako's Music Studio for several years. 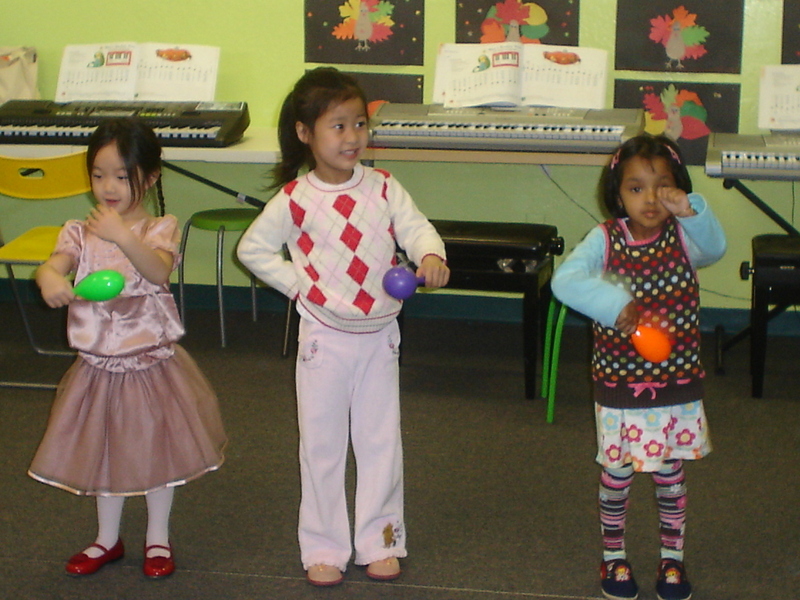 Their learning has spanned both vocal training and instruments like Flute and Piano. We have found Masako to be highly knowledgeable musicians. She is also very disciplined, methodical, and dedicated. Masako is very patient and gentle with her students which is a great help especially when the children are getting started with their music training and can easily get turned off by a forceful or impatient teacher. She adapts her teaching to individual student痴 needs and innate talents. We highly recommend Masako to young minds aspiring to become musicians." 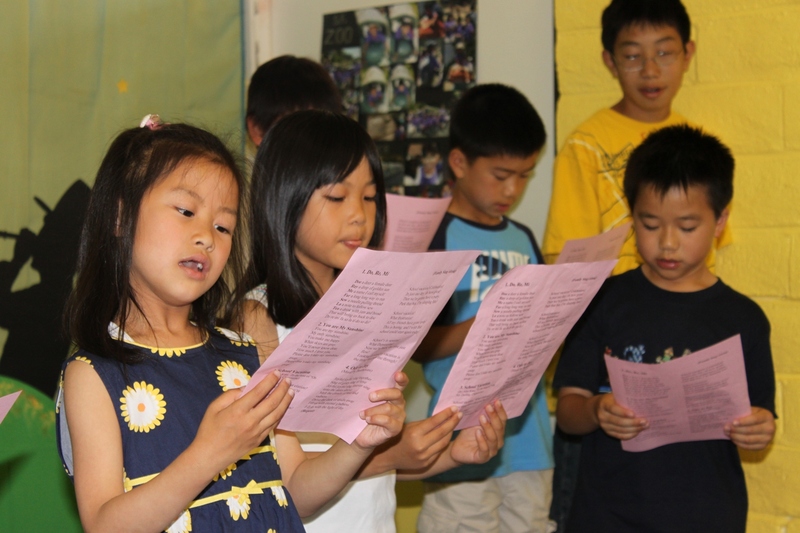 "We have known Ms. Masako for 6 years since both my kids have learned piano from her. She is very kind, patient, enthusiastic, accommodating, all the qualities that make her nothing less than an excellent teacher! 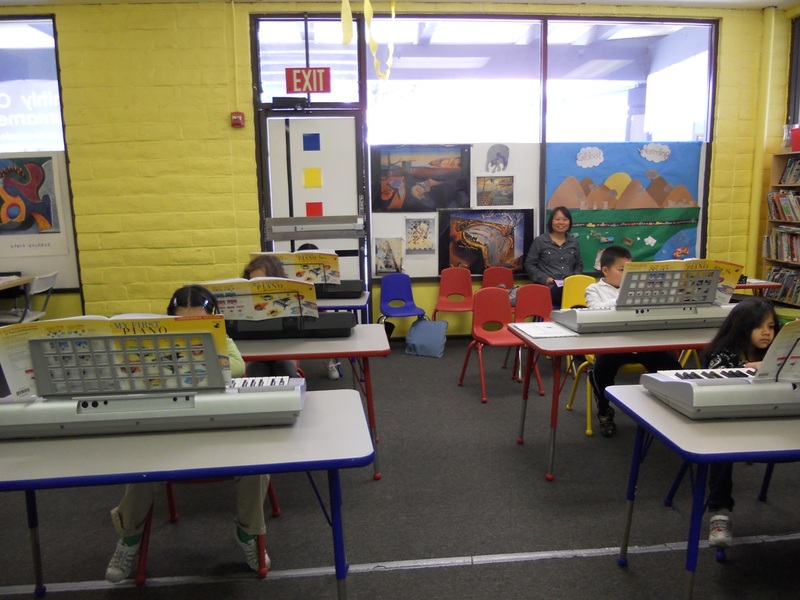 My children have progressed well with their piano and music education during their time with Ms. Masako. She provides a very positive and nurturing environment which has helped them develop a very good foundation and appreciation of music. We are fortunate that she was a part of our children's musical journey and we highly recommend her. Thank you Ms. Masako for all your efforts!!" "I was a student of Ms. Masako for 5 years, and I feel that she was one of the several teachers that helped me develop a passion for music. The knowledge and appreciation of music that I have gained from her teaching, has benefited me greatly in my school orchestra. Ms. Masako has taught me so well, that even though I now play violin, I still remember how to play the piano very well. Although I am not officially learning the piano from Ms. Masako anymore, I always would love to join back for some lessons in the summer, and play piano as a hobby. Thank you Ms. Masako!" "Mrs. Masako is an outstanding piano teacher. She began teaching my son Eddie when he was 6 years old, and after 7 years of lessons, I am extremely pleased with how well Eddie both plays the piano and understands music theory. Mrs. Masako makes learning piano fun and interesting for children by choosing some contemporary pieces, like Disney movie theme songs and that gives my son fun when practicing his favorite Disney movie songs. Her teaching style is the perfect balance of friendly and encouraging, yet very professional with an emphasis on progress. I would highly recommend Mrs. Masako to any student fortunate enough to work with her." "Mrs. Masako is a fantastic piano teacher for our two children aged 10 and 12. She has been teaching them for over 6 years and they have enjoyed their lessons which have a variety of songs taught ranging from classical to contemporary which keep them interested. Even though our children have different character and temperament, they have all found Mrs. Masako a good teacher to work with and are happy to get small rewards and presents after achieving certain milestones which keeps them motivated." 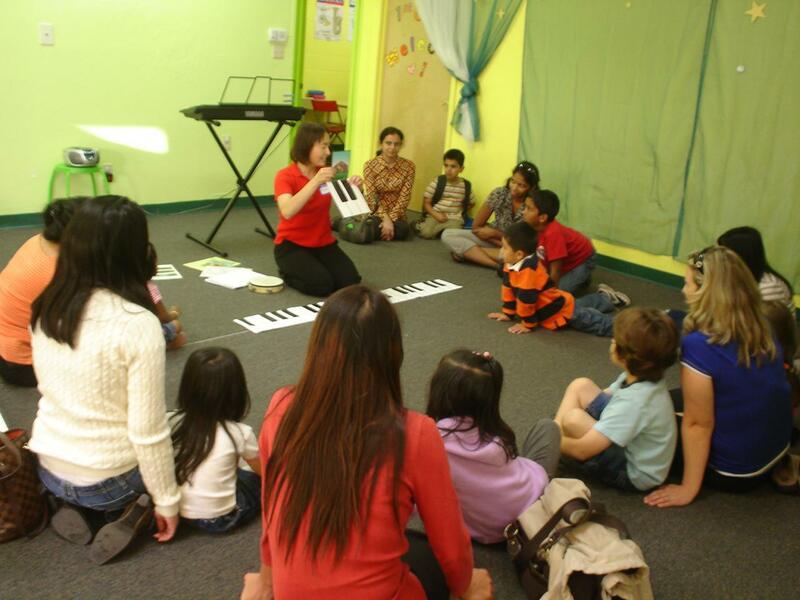 "Ms. Masako has been Sylvia's piano teacher for over 5 years, since she was 6 years old. I think Ms. Masako is a great teacher because of her calm composure, patience with her students, and years of experiences in teaching kids. My daughter feels at ease in her classes, and enjoy each of the sessions (definitely more than her practice at home under my supervision). Today, my daughter plays reasonably well relative to the 5 years learning experience she has so far. I am hoping that she will continue to enjoy listening and playing beautiful music pieces for a long time!" 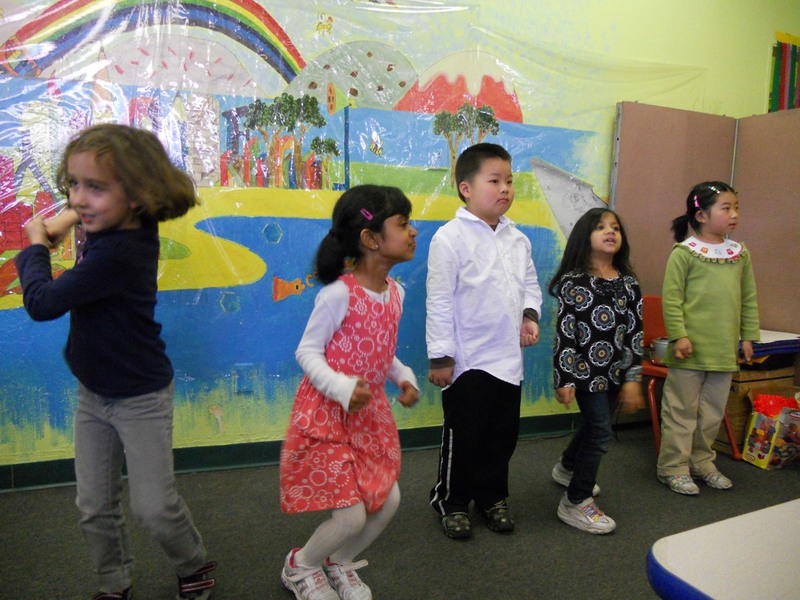 "Mr. Masako is an amazing piano teacher and makes learning music enjoyable. She is patient, kind and highly experienced. Her way of teaching creates a love of music in children. My son is excited for his lesson and I believe this will result in a love of all music in his life." "We've been with Ms. Masako for 4 years. 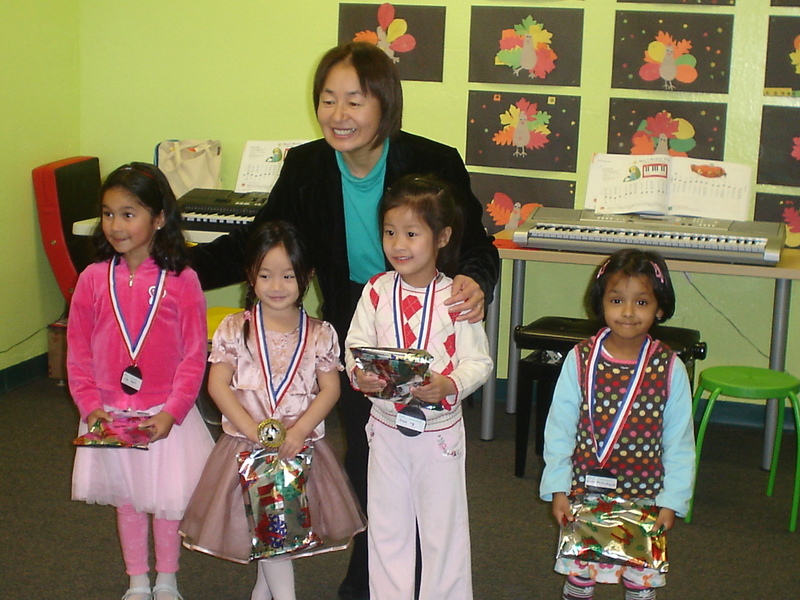 Our daughter Isha developed a liking for piano and enjoyed learning from Ms. Masako. Isha looked forward to learning new songs and sometimes composed her own. She enjoyed playing duets with Ms. Masako the most." "My 9-year old son has been taking lessons with Mrs. Masako since mid-2010. In the beginning, my husband and I were not sure how long he would be interested in playing the piano, and we are pleased after nearly 4 years to see his progress with playing the piano and with his growing appreciation of music, in general. Masako has been an integral part of his music development. She is a wonderful teacher and offers my son encouragement, patience, and opportunities to express himself musically." "Ms Masako has taught my son for over 2 years. My son positively adores her and has learned a lot from her. I remember how my son and I had an argument once and he was angry. He then went in and played some soothing music with Ms Masako. When he was done, he came out and told me that he had calmed down and that music really helps him deal with his anger and sorrow. To me, that was a profound statement. As Ms Masako says-"Music heals our hearts". She is a very patient and inspiring teacher. She is genuinely interested in her students and takes the trouble to know each one of them not just musically but also, their other interests and talents in life. I would wholeheartedly recommend her to anyone who is interested in nurturing a lifelong love for music. Thanks." "My 11 years old son has been taking piano lessons with Ms. Masako for three years. Before having Ms. Masako as his piano teacher, he was with another piano teacher where the learning experience had been quite stressful. My son had quickly lost his interest in learning piano. I told my son to give it another try with Ms. Masako. And during these past three years, he had gained his interest in learning to play piano again, and I have never heard a single complain from him. Ms. Masako is very patient, kind and talented at the same time. And I think all these had contributed in developing my son's eagerness to learn to play piano. Thank you Ms. Masako!" "I want to let you know that the music you teach us has been help a lot in this difficult process. Kids and I were using the songs that we learn from you to comfort each other and will plan to perform some of these music in my dad's service. My dad enjoyed a lot when he joined our lessons via internet. Thank you for allowing him to be part of your lessons. That meant a lot to him. Thank you so much for teaching us. Your "music from the heart" teaching had made a big difference in our life." "My daughter Rhea is taking piano lessons from Mrs. Masako since July 2012. She is a gentle, patient and encouraging teacher and develops a close bond with her students. Every time I pick Rhea up after the class, she is seen sharing her week's updates with Mrs. Masako, just like friends do. It surprises me when Mrs. Masako remembers where they left off last week and asks for updates, if Rhea misses out any. It is also great that she organizes an annual concert where the students get to perform in front of an audience and feel appreciated. My daughter continues to benefit a great deal from her lessons." Web design by Mika Tohmon. Base template by WEB MAGIC. Copyright（c）2011 Masako's Music Studio all rights reserved.